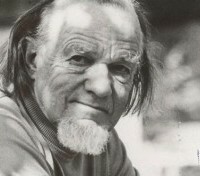 Dr. Francis Schaeffer, a brilliant Christian philosopher who died in 1984, gives great insight to the Postmodern crisis we are experiencing within the church today. He explains how Thomas Aquinas opened the door for an Epistemological compromise between the Bible as an authority on one hand and Aristotelian philosophy being an equal viewpoint on the other hand. This mixture, known as Syncretism, led to Christians questioning whether the Bible was needed at all. This is something we are struggling with in our day. Is the Bible merely “a” source of truth, or is it “the” authoritative source for all moral truth? Is the Bible “a” truth (i.e. Relative Truth), or are there real absolutes that relate to all of life and reality? If you have never read Dr. Shaeffer’s works, you need to rediscover this man’s amazing contribution to the Christian community. It may change your life, as it did mine nearly 20 years ago. Israel Wayne is an author and conference speaker and is the Director of Family Renewal, LLC. F.Schaeffer’s teaching highly impacted me in the ’70’s when I was finding my way through a lot of nonsense in the world and trying to become an effective Bible teacher. I really appreciated his work and still do. Blessings to you, Israel, for posting this.